In the Hashemite Kingdom of Jordan people are welcomed with "Ahlan Wa Sahlan". 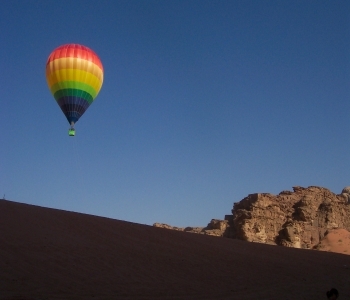 Jordan is one of the few Arabic countries where you can travel in a comfortable way and without any harassment. For citizens of Jordan, the Holy Quran is leading for the daily lives, standards and laws. But they are open minded for people who have a different belief and culture. This beautiful country has many assets: the ancient culture and magnificent nature reserves which includes one of the most beautiful deserts in the World: the breathtaking Wadi Rum where the real Bedouin life still can be found. The lowest point on earth; the Dead Sea, the Red Sea with her beautiful corals and last but not least: one of the new seven world wonders and UNESCO heritage: Petra! Amman, the modern and ancient capital of Jordan, is one of the oldest continuously inhabited cities in the World. Recent excavations have uncovered homes and towers believed to have been built during the Stone Age with many references to it in the Bible. Amman's modern history began in the late 19th Century, when the Ottomans resettled a colony of Circassian emigrants in 1878. When the State of Transjordan was established, Emir Abdullah ibn Al-Hussein founder of the Hashemite Kingdom of Jordan made Amman his capital in 1921. 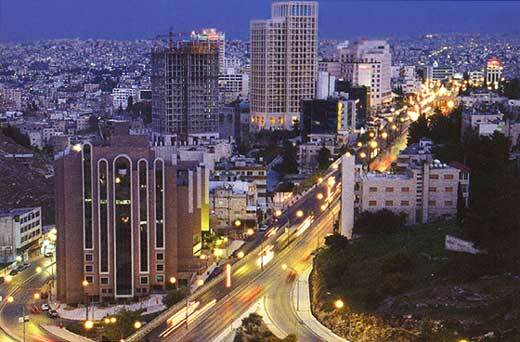 Since then, Amman has grown rapidly into a modern, thriving metropolis of well over two million people. Important sites in Amman are the Citadel, the Byzantine church, the Umayyad Palace, the Roman theatre and the Grand Husseini Mosque. Jerash is the grandeur of Imperial Rome being one of the largest and most well preserved sites of Roman architecture in the World outside Italy. To this day, its paved and colonnaded streets, soaring hilltop temples, handsome theatres, spacious public squares and plazas, baths, fountains and city walls pierced by towers and gates remain in exceptional condition. The ancient city was buried in sand, which accounts for its remarkable preservation. It has been gradually revealed through a series of excavations, which started in 1925, and continue to this day. The first known historical reference to Jerash dates back to the 2nd or early 1st century BC. 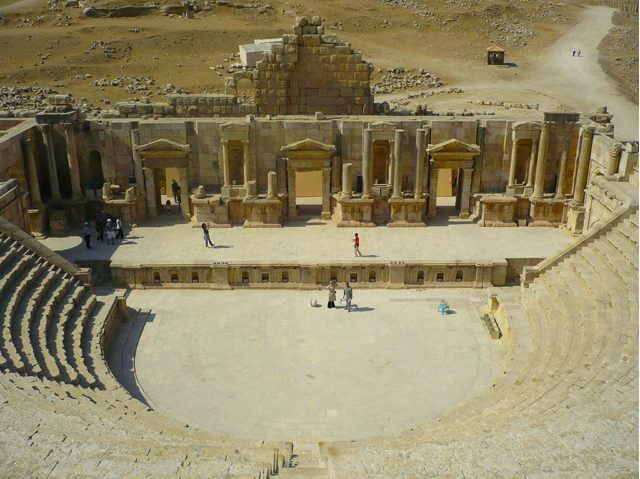 The amphitheatre is still being used during the annual Jerash Festival (3 weeks in July and August). Known in Arabic as Tabaqat Fahl; is one of the most ancient sites in Jordan and a favorite of archaeologists being exceptionally rich in antiquities. It seems to have been continuously occupied since Neolithic times for some flints from this period have been found there; and some recent finds 2 km to the north even date to Paleolithic times, around 100,000 years ago. Besides the excavated ruins from the Greco-Roman period, including a theatre, Pella offers visitors artifacts of a Chalcolithic settlement from the 4th millennium BC, the remains of Bronze and Iron Ages walled cities, Byzantine churches and houses, an Early Islamic residential quarter, and a medieval mosque. This is one of the most brilliant ancient Greco-Roman cities of the Decapolis; and according to the Bible, the spot where Jesus cast out the Devil from two demoniacs (mad men) into a herd of pigs (Mathew 8:28-34). 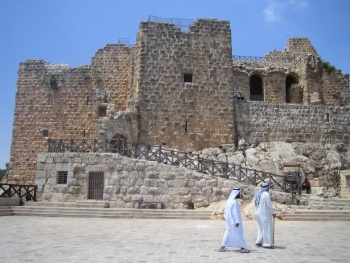 Archaeological surveys indicate that Gadara was occupied as early as the 7th century BC. The city reached its peak of prosperity in the 2nd century AD. New colonnaded streets, temples, theatres and baths sprouted. A theater, a colonnaded street, a black basalt theater, a Terrace, a church, a basilica, ruins of the Nymphaeum, a bath complex and a well-preserved Roman Mausoleum can be seen. Here you will find the Castle of Ajloun from which there is a splendid view westwards into the Jordan Valley. It looks like a Crusader fortress, but it was built by Muslims in 1184-85 as a military fort and buffer to protect the region from invading Crusader forces. It is a superb example of Arab and Islamic architecture. Scattered throughout the black basalt desert, east of Amman, the Desert Castles, a testament to the flourishing beginnings of Islamic-Arab civilization were at one time integrated agricultural or trading complexes, built mostly under the Umayyads (661-750 AD). Aside from being widely considered as the most spectacular and original monuments of early Islamic art, these complexes also served practical purposes as residences, caravanserais, and baths. 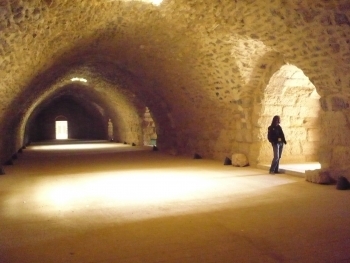 Definitely worth visiting is Qasr al-Hallabat, Qasr Hammam as-Sarh, Qasr Amra en Qasr al-Harrana. Mount Nebo is one of the most revered holy sites of Jordan, for this is where Moses was buried. From the mountaintop, which is the highest point in the Moabite range, rising to about 800 meters, you can admire the dazzling view across the Jordan Valley and the Dead Sea, to the rooftops of Jerusalem and Bethlehem. Mount Nebo's first church was constructed in the 2nd half of the 4th century to commemorate the place of Moses' death. Petra is the treasure of ancient world, hidden behind an almost impenetrable barrier of rugged mountains. The rock-carved rose-red city of Petra is full of mysterious charm, it was "designed to strike wonder into all who entered it". It is the legacy of the Nabateans, an industrious Arab people who settled in southern Jordan more than 2000 years ago. Admired then for its refined culture, massive architecture and ingenious complex of dams and water channels, Petra is now a UNESCO world heritage site and one of The New 7 Wonders of the World. When sun and sea meet the charms and atmosphere of antiquity, the visitor can find himself, at any time of the year, at the 13th century Red Sea resort of Aqaba, which was in ancient times, the main port for shipments from the Red Sea to the Far East. For relaxation, water sports, and winter warmth, Aqaba is warm, sunny and inviting, fringed with palm trees, lapped by the crystal clear waters of the Gulf of Aqaba, cooled by a steady northerly breeze, and ringed by mountains that change in color with the change of the hours. Snorkeling, water skiing, wind surfing, para-sailing, fishing and many other water sports, including scuba diving are just some of the popular activities to partake in. s Jordan already on your list of countries to visit? Or do you need more information? www.jezratravel.com is your partner.